Credit: Courtesy of Hobert lab, Columbia University, N.Y.
"We found that environmental stress can permanently and profoundly impact the connectivity of a developing nervous system," said Oliver Hobert, Ph.D., professor of biological sciences at Columbia University in New York City, and a senior author of the study published in Nature. Dr. Hobert's lab studies the nervous system of tiny see-through worms called Caenorhabditis elegans, or C. elegans. Previously, scientists in his lab showed how sexual maturation genetically reprograms and reshapes the wiring patterns of some neuronal circuits in male worms, making them different from their hermaphrodite mating partners. "Exploring how genes and the environment shape the nervous system is critical to understanding how circuits break down to cause a variety of neurological disorders," said Jill Morris, Ph.D., program director at the NIH's National Institute of Neurological Disorders and Stroke (NINDS). Initially, Bayer stressed out immature worms when she accidentally left some animals unattended for a few weeks. This caused the worms to pause their normal growth and enter what scientists call a "dauer state." "Basically, if immature worms sense stress of any kind they can temporarily halt their normal growth for months and then restart it when the stress passes. This temporary freeze in the growth process is the dauer state," said Dr. Hobert. Eventually, Bayer returned the worms to their normal environment and let them grow into adults. After examining the nervous systems of stressed worms, she noticed something unusual. Normally, some of the neuronal connections in the males' tails are eliminated, or pruned, during sexual maturation. Instead, she found that immature connections in the stressed worms remained. Follow-up experiments suggested that this was strictly caused by starvation and no other forms of stress – such as heat – could have caused the dauer state. Further experiments suggested that pruning of the circuits was controlled by opposing effects of serotonin and octopamine, a chemical cousin of the human "fight or flight" neurotransmitter norepinephrine. Starved worms made abnormally high amounts of octopamine, which blocked production of serotonin. Exposing immature males to serotonin during starvation caused normal pruning and the adults to have mature reactions to SDS. In contrast, adding octopamine to an immature male worm's diet prevented circuit pruning. "That's a tricky question. Right now, it's very hard to pin down these kinds of differences in humans and other animals with large complicated nervous systems," said Dr. Hobert. 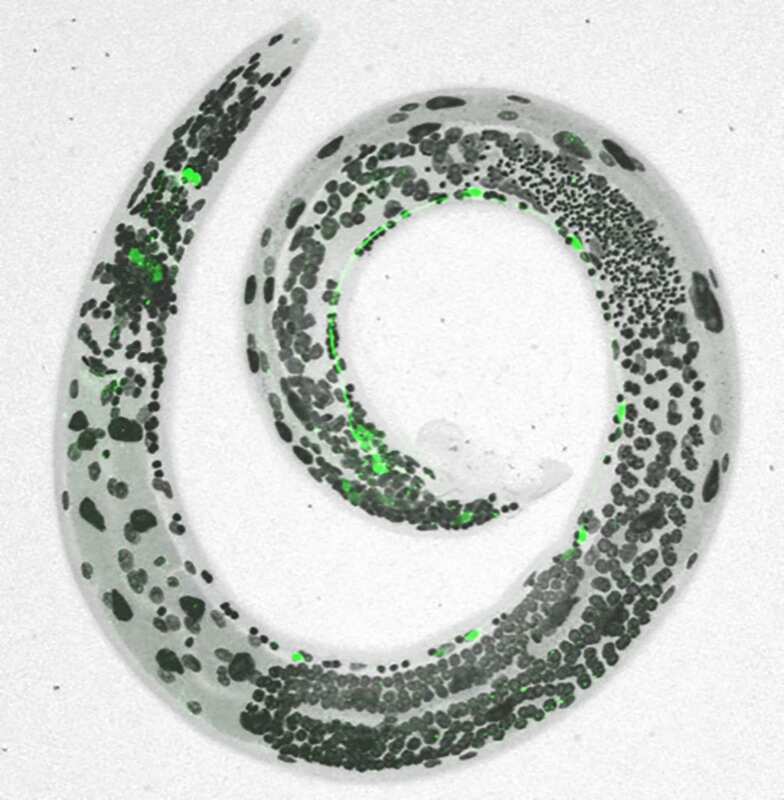 "Nevertheless, worms are so simple and easy to study that we can provide detailed proofs of principals that may guide nervous systems great and small."